Getting the Greater Daglan Area to look right has been a bit of a struggle. Despite having summer officially declared (by Radio Free Daglan), the countryside has been looking awfully brown, and the plants and flowers and shrubs and flowering trees have been stubbornly slow. Now that’s begun to change. 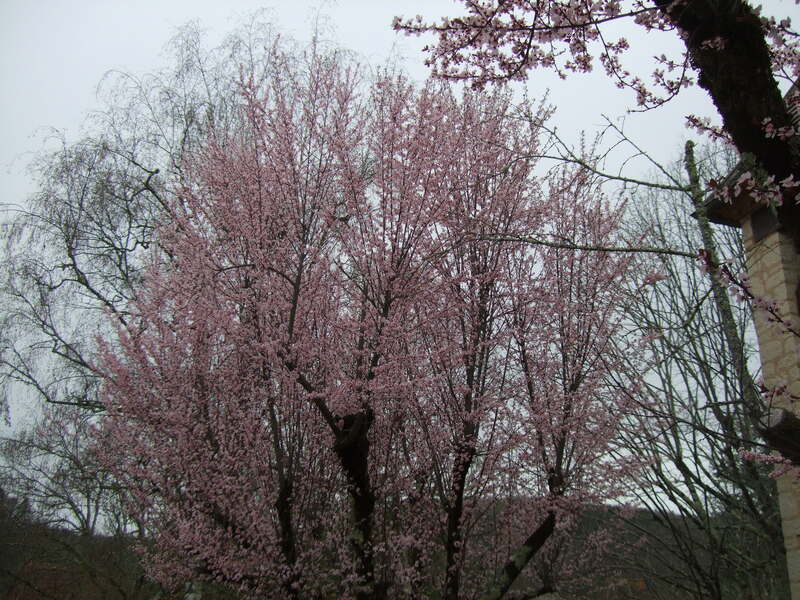 A fresh burst of pink, up into a grey sky. A white-flowering tree, emerging from a restaurant courtyard. 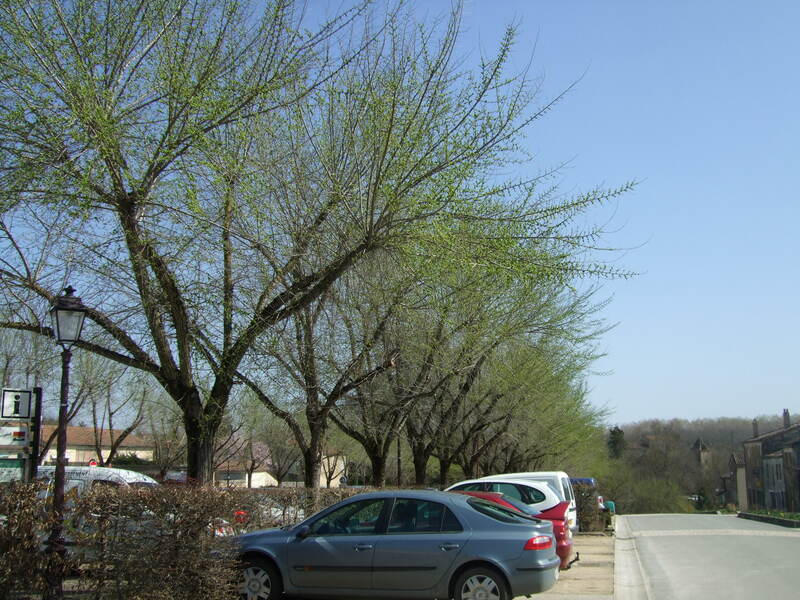 A row of trees in Monpazier. 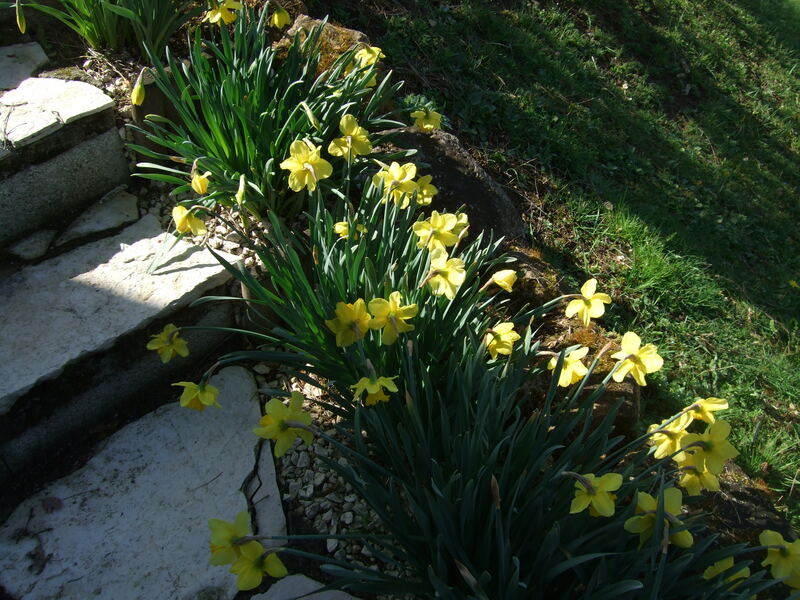 A sprinkling of daffodils along some stone steps. The biggest mystery for me is the state of the wisterias on either side of our front steps. They seem curiously dormant, with barely any hint of buds, considering that the vine is reputed to be one of the world’s most aggressive takeover artists, and the model for all growth stocks. I’m keeping a close eye on these boys. Operation: Wisteria Watch. 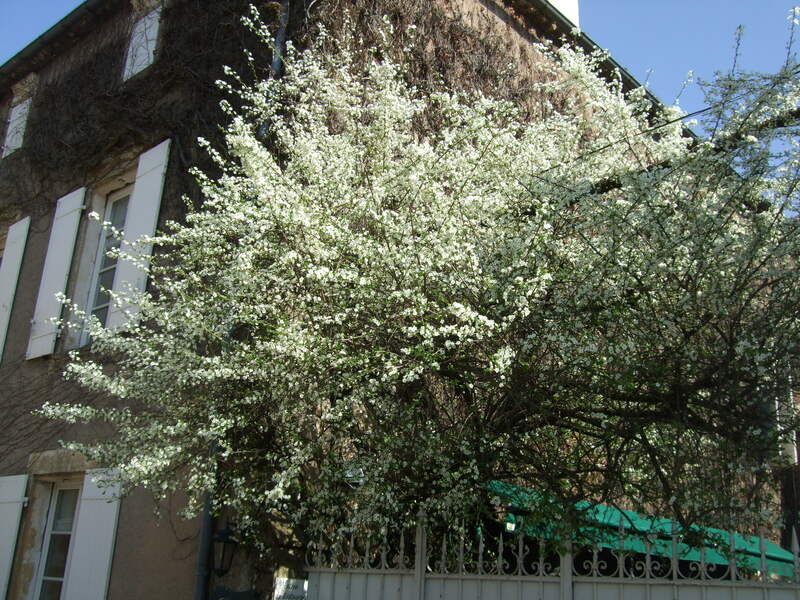 This entry was posted in Flora and fauna, Life in southwest France, Tourist attractions and tagged bastide towns, flowering trees, flowers, Monpazier, nature, plants, shrubs, springtime, white flowering tree. Bookmark the permalink.